16.7" x 17.9" stitched on 14 count. 13.0" x 13.9" stitched on 18 count. Little Big Cat cross stitch pattern... 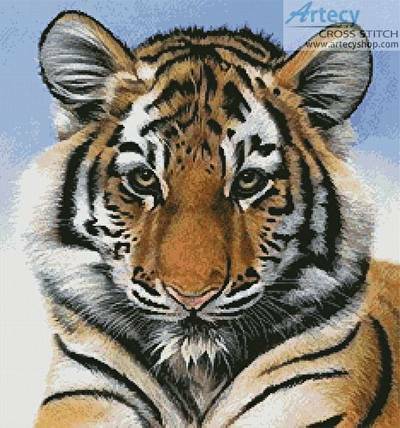 This counted cross stitch pattern of a young Siberian Tiger was created from the beautiful artwork of Karie-Ann Cooper www.artbykarie-ann.co.uk based on artwork by DigitalArt2. Only full cross stitches are used in this pattern.